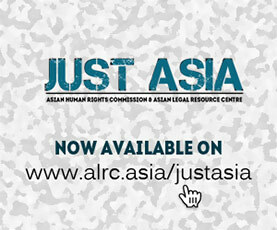 The Asian Human Rights Commission (AHRC) wishes to forward an appeal from the Human Rights and Peace for Papua–the International Coalition for Papua (ICP) regarding the deaths of 51 children and three adults of pertussis (whooping cough) in Nduga Regency, Papua Province, Indonesia during the past few months due to government neglect. The International Coalition for Papua (ICP) is writing to inform you of the recent deaths of at least 51 children and three adults due to Pertussis (whooping cough) in the districts Mbua, Dal and Mbulmu Yalma, Nduga Regency, Papua Province, Indonesia since November 2015. As the government social and health institutions did not respond to the serious situation of malnutrition and hard weather conditions in the affected area, many children died of otherwise manageable infections. As a result of the negligence, the Indonesian government failed to fulfill its obligations to protect health and life, as stated in the International Covenant on Economic, Social and Cultural Rights in article 11/1,2 and article 12/1, 2 (a), (c) and (d). We have recently received credible information that people in the districts Mbua, Dal and Mbulmu Yalma were severely affected by the El Nino climatic effect, which resulted in an extremely dry and cold weather in the West Papua region. The cold and dry climate had damaged crops, and caused the death of livestock and wild animals which lead to a shortage of food in the Nduga Regency. The extremely cold weather and food shortage in October 2015 worsened the existing chronic malnutrition of the population in Nduga, and weakened the indigenous peoples’ immune systems. In combination with limited access to clean water and proper ventilation, the malnutrition facilitated a fast spreading of the airborne Bordetella Pertussis bacteria, which caused pneumonia and eventually the death of 51 children, all of them under the age of 10 years. In addition, three adults have died due to the Pertussis outbreak. According to local sources, government health institutions have failed to provide preventive immunization and medical treatment to those living in the districts Dal and Mbulmu Yalma. Furthermore, the social government agencies did not take sufficient humanitarian measures in all three districts to counter the food shortage and provide medication in all affected areas. We believe that the failure of government services is violating the fundamental right to the enjoyment of the highest attainable standard of physical and mental health. Nduga regency is one of the most remote regencies in the central highlands of Papua province, whose population largely consists of indigenous Papuans, living in small villages surrounded by primary mountain rainforests. The only way to access most of the villages remains by mountainous footpaths, small airplanes and helicopters, which are able to land on the small unpaved airstrips in the central highlands. Most villages lack even the most basic medical services. Apart from the lack of health centers (PUSKESMAS) and medical equipment, there are hardly any medical personnel working in these remote areas, which are almost entirely populated by indigenous native communities. If community members face serious diseases, they have to be flown out or risk several days hike through difficult passable mountain terrain until they reach the next health service center, which is in most cases poorly equipped with medication, facilities and medical personnel. General vaccination services that include immunization for the Pertussis bacteria are not consistently being provided in the area. West Papua, consisting of the two Indonesian provinces Papua and Papua Barat, has been given a special autonomy status by the Indonesian government. All local governments in West Papua receive sufficient funds for the improvement of infrastructure, health and education. The central government has allocated 7 billion Indonesian Rupia (IDR) in 2015 and another 7.7 IDR in 2016. In fact, local observers report a deterioration of the availability of health care over the past years due to mismanagement and despite the availability of resource. An unresolved long-standing conflict about the political status of West Papua, the region’s status as a military operation zone within Indonesia and racial discrimination in the practice of public services and security forces result in violence against indigenous Papuans and public services not being equally delivered for the indigenous community as for non-indigenous residents. The victim solidarity group Mbua SKJM (‘Solidaritas Korban Jiwa Mbua’) has reported the death of 51 children and 3 adults between early November 2015 and 5 January 2016. The deaths were confirmed by local NGOs and various news media. According to the results of a survey by Indonesian health agencies in October 2015, the cause of death was Pertussis. In usual cases Pertussis is not deadly, but the extremely cold weather and food shortage in October 2015 worsened existing chronic malnutrition in Nduga and weakened the indigenous peoples’ immune systems, leading to a fast spreading of the disease. The extreme weather conditions also lead to the destruction of crops and the death of livestock, such as pigs, chicken and rabbits, which remain the main source of protein for Papuan indigenous highland communities. The solidarity group explains that neither the local government, nor national health institutions have seriously responded to stop the epidemic, despite the epidemic being declared a health emergency by the Ministry of Health. According to local sources first indications were already recognized between August and October 2015 with the sudden deaths of wild animals and frogs, later pigs and chicken. Between November 2015 and 05 January 2016 the disease killed 51 children and 3 adults in the remote districts Mbua, Dal and Mbulmu Yalma of Nduga Regency. SKJM has repeatedly collected data on the progression of the epidemic outbreak and shared its result with the Health Agencies of Nduga Regency, Papua Province and the National Ministry of Health. However, the solidarity group stated that the health institutions did not collect data and did not provide medical care to patients in all affected districts. The health institutions in charge would not have taken any further steps to stop the outbreak of pertussis, to address the chronic malnutrition and to provide medical treatment to the people in the districts Mbua, Dal and Mbumu Yalma. All three districts lack functioning health centers (PUSKESMAS) and medical personnel – only the district Dal has a health service point (PUSTU). SKJM furthermore provided detailed information on various basic medications at the service point, which were already expired but still prescribed to patients. SKJM also reported that since the epidemic outbreak, 25 fully armed members of the XVII Cenderawasih military unit were deployed to Mbua district. The soldiers’ presence has intimidated local indigenous communities and caused some residents to leave their villages and temporarily settle down in the surrounding forests. This in turn has exposed them to a further higher risk of health problems. Immediately enter into communication with appropriate state institutions at the provincial and district level in order to take effective measures to help the population in the affected districts Mbua, Dal and Mbumu Yalma. These measures should include the provision of food supplements and staple food as well as appropriate medication, medical personnel and medical equipment for local treatment on the spot. Take measures for the prevention of such breakouts in the future, e.g. through vaccination programs and sustainable, contextually appropriate, nutritional programs to counter chronic malnutrition. The measures should include a program for the building of health service centers (PUSKESMAS) at least in each district of Nduga regency, as well as a food and nutritional strategy for the indigenous highland communities as they are disproportionally affected by the environmental effects of climate change.